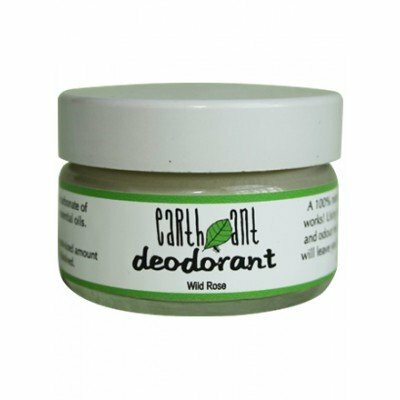 100% Natural deodorant with the scent of wild rose. The largest and most amazing organ our skin, absorbs most of what is applied to it and some of this can even move directly into the bloodstream. Some statistics quote that women who use commercial cleaning and grooming products everyday are estimated to absorb nearly 2 kilograms of synthetic chemicals through their skin each year! Even if this is an exaggeration, what the skin does not absorb is either excreted via bodily fluids into our direct environment (which adds to the toxic load on our planet), or forms a suffocating layer that can stop the skin from breathing.